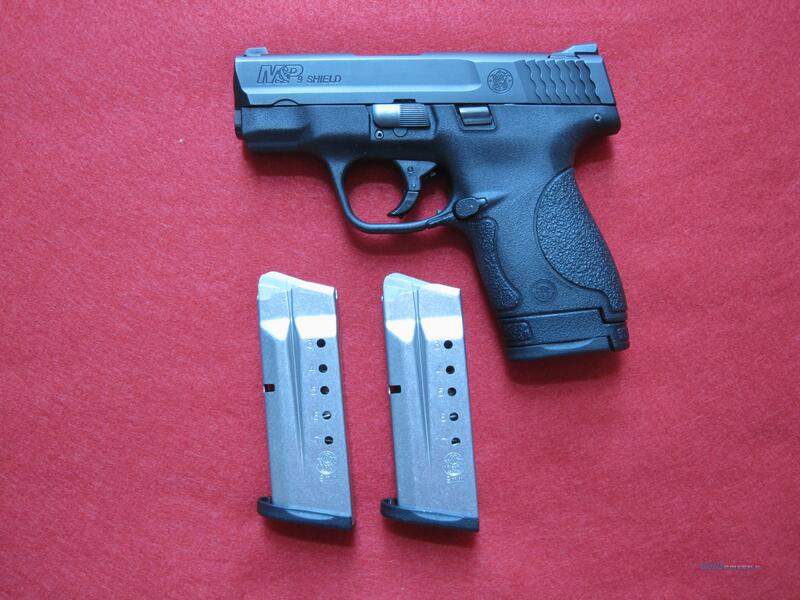 Description: For sale is a S&W M&P Shield in 9mm with a 3.1" barrel. Pistol comes with three (3) Smith & Wesson magazines, one 8+1 and two 7+1 magazines. Pistol is semi-automatic with striker fire system and 3 dot sights. Pistol is light weight and slim for concealed carry. Handgun comes with original box and warranty information This model M&P Shield does not have the thumb safety. This pistol can only be transferred through a licensed FFL dealer in your area. Bidder to supply a signed copy of your FFL dealer's license prior to shipping. Copy can be sent email or USPS. Buyer will be responsible for all local regulations in their state before bidding. SAFETY NOTICE: Buyer is responsible for determining that a used firearm is safe to shoot. The firearms offered have been test fired, cleaned and inspected. Buyer agrees to hold seller harmless against any damages, injury or death caused by defective firearms. RETURN POLICY: All firearms come with a 3 day inspection/return option. Buyer is responsible for inspecting firearm in the 3 day time period. Inspection does NOT include firing the firearm. If buyer decides to fire the firearm with ammunition, the sale is final. Any returned items that require repair, the cost of repair will be deducted from any refund. If firearm is returned for any reason other than being defective, a 20% restocking fee will be deducted from any refund. Buyer is responsible for return shipping. Buyer is responsible for any special city, county or state regulations or restrictions. Please check with your local FFL dealer prior to purchasing any firearm for any special restrictions. Please make sure you will be "approved" via FBI-NICS check through your dealer. PAYMENT: Money orders, cashier's, personal or business checks are acceptable. No credit cards that charge an extra 4%. Items paid with USPS money orders ship immediately, cashier bank checks will ship in 5 business days. Business checks will ship in 10 business days after funds clear. An 8% sales tax will be assessed to South Carolina residents. Checks should be made out to North Coast Diversified, P.O. Box 316, Irmo, SC 29063-0316. Buyer pays $20 for shipping, insurance and handling costs for handguns to the lower 48 states CONUS to your FFL. If you are not a licensed dealer, you must make arrangements with a dealer in your state to receive the firearm and legally transfer it to you. No sales to CA, HI or AK.